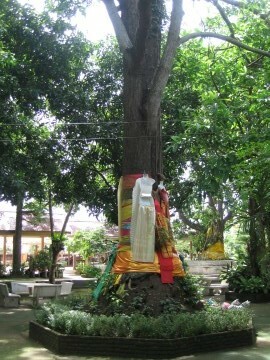 after the Malabar Ironwood, a tree often used for making boats and ship masts. waters near the Bang Kaja confluence. 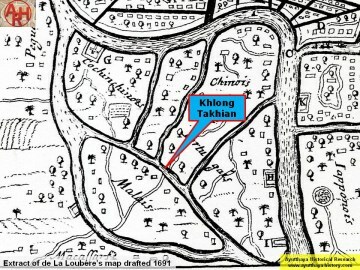 running south and having the same origin as Khlong Takhian. 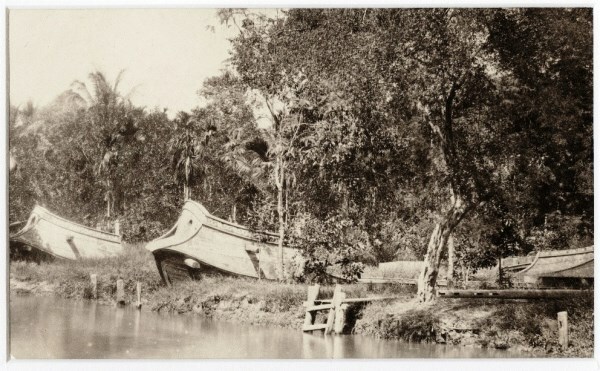 mouth of Khlong Takhian, opposite Ko Rian. This shipyard was the marine boat house. 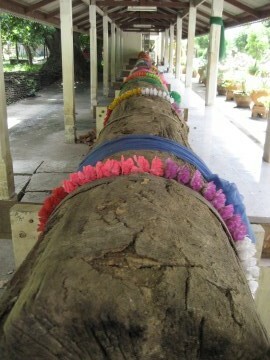 Pho, Wat Mai, Wat Samphao Lom, Wat Khok Jindaram and the Kudi Cho Fa Mosque. and the Yami Ul Islam Mosque on the right bank. hardness. It is a strong light and durable timber resistant to termites used for boat building. Ayutthaya; before the Lopburi River. 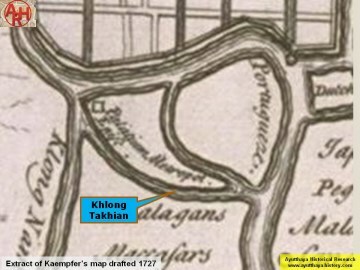 direction of the current in Khlong Takhian towards the main river. 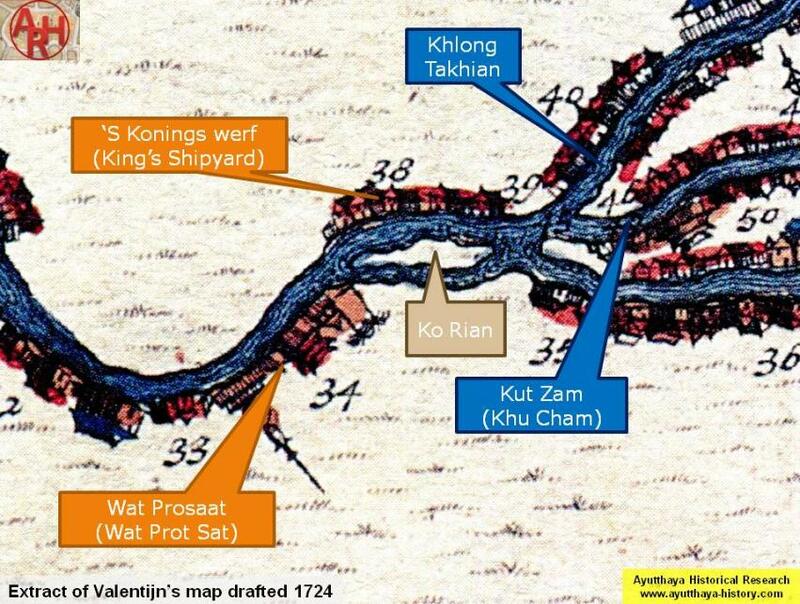 (5) Likely Cochin-Chinese as this location was their designated area. 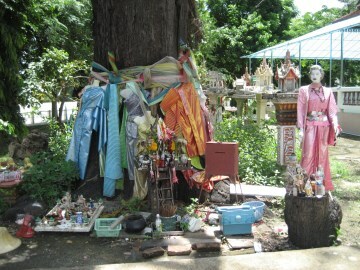 have been derived from the entertainment area at the beginning of Khlong Takhian. palace - Dr Vinai Pongsripian - Bangkok (2007). 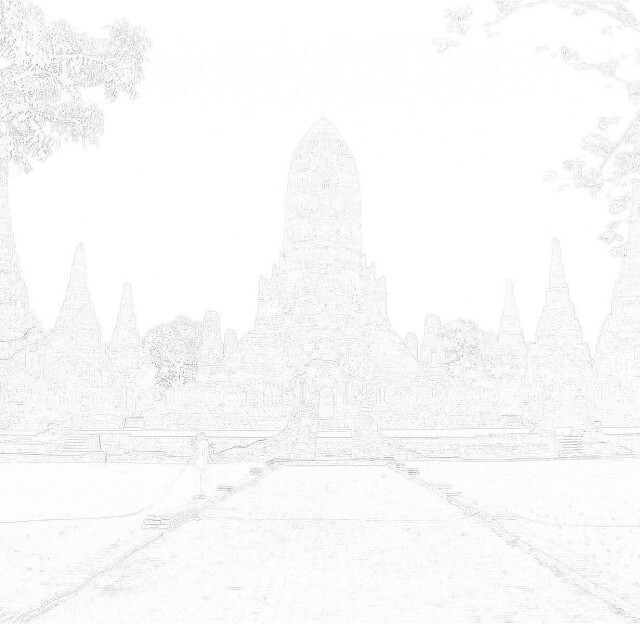 Description of Ayutthaya - Chris Baker - JSS 99. Cakkraphatdiphong & Royal Autograph - The Hongsawadi Army Invests Ayutthaya.